You can now experience coworking glory first hand. 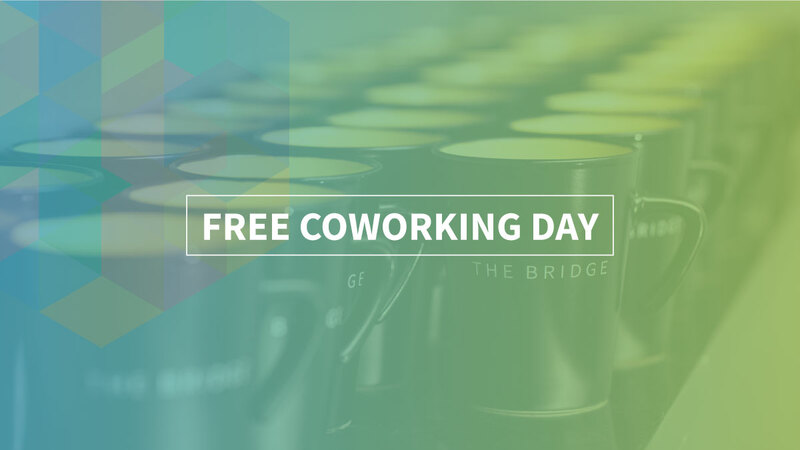 We're excited to announce that we're bringing back free coworking every month at The Bridge. What happened to free coworking in the first place? To put it simply, we didn't have the room to accommodate large influxes. We've added new coworking areas to the space to hold more coworkers. So, get out of the home office/coffee shop, stop talking to inanimate objects, and discover how you can have fun but productive work days surrounded by people in the same boat! Visit our facebook events to see when the next free coworking day will take place, click the day you can come,and click that you are going! While some of our coworking days will be pretty easy going, we've got some tricks up our sleeve for some upcoming days! So stay tuned for coworking days with lunch or happy hour events, guest speakers and more. Interested in helping out or doing something awesome with us? Contact us here about sponsorship and/or partnership opportunities.